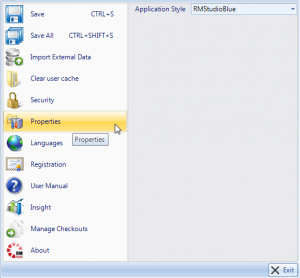 First, open the Properties window from the Main menu. Second, navigate to the Web and Email – Configuration node. 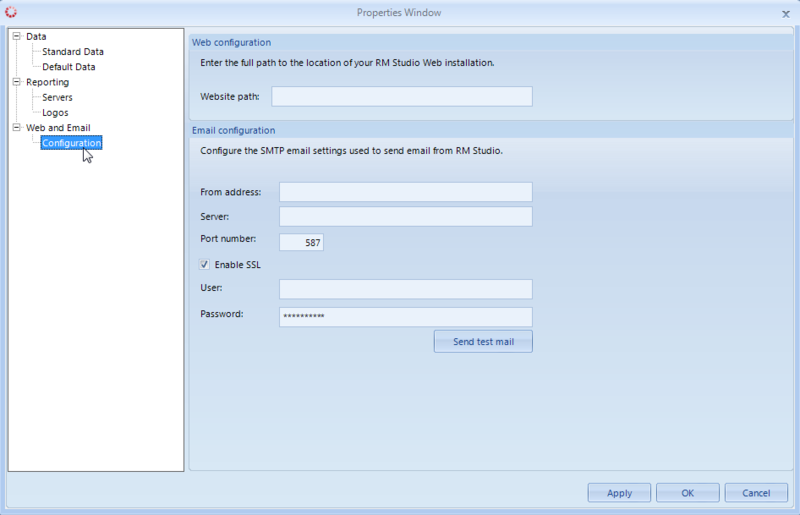 Website path: If you have the web module installed, put in the URL in this box. 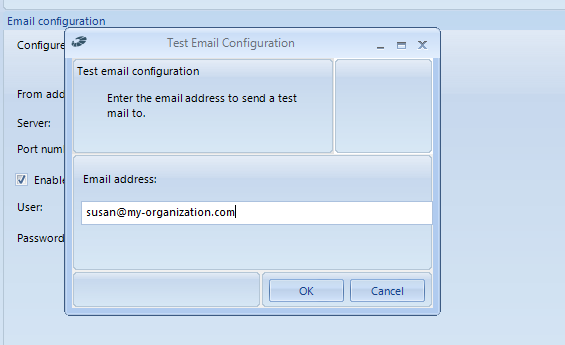 It will be used to generate links when sending out emails to stakeholders. User: The user name to authenticate to the mail server. This will usually be the same as the From address, or otherwise a user that has the privilige to send on behalf of the From address.